If the thought of sitting in a restaurant with a beach view, breathing in the aroma of the smoked tuna with a glass of wine in your hand makes you happy; or the idea of going on a food walk, hanging around the local food joints excite you, then read on! Here is a curated list of the popular food, evening snacks, savoury dishes, desserts, drinks, and where to find in Maldives them for a smoother food hunt. One thing that we are sure of is that these delicious delicacies and refreshing beverages of Maldives will leave your stomach full and mood happy. Try this traditional dish of Maldives which is also one of the basic food items of the local population - Garudhiya is a fragrant fish soup that is usually cooked using fish, water and salt. It is served with lime, rice, chilli and onions. Where to get: Iberry Café, Hulhumale (opens 8:00 AM to 12:00 AM); Jazz Café, Male (Opens 2:00 PM to 12:00 AM on Fridays and 8:00 AM to 12:00 PM on rest of the days); Muraka, Mirihi Island Resort (Dinner 7:30 PM to 10:30 PM). 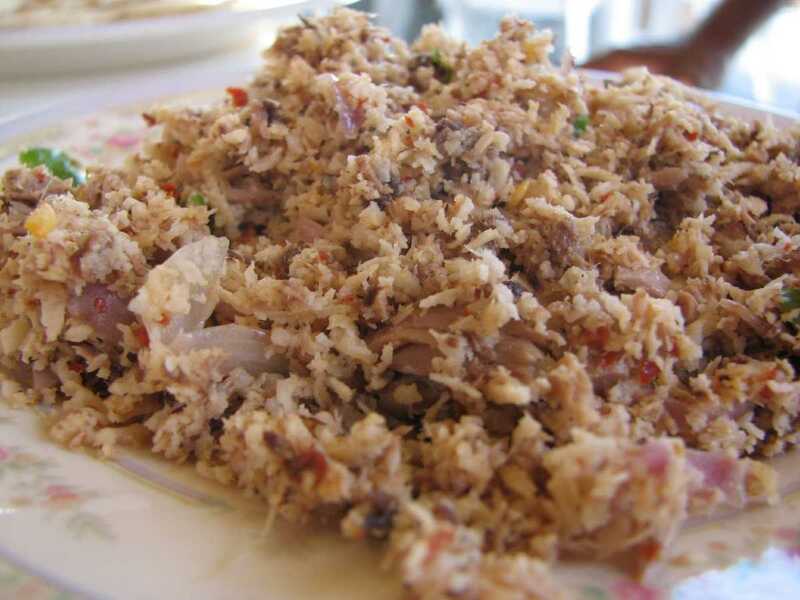 A prevalent food in Maldives, Mas Huni - shredded smoked Tuna, served with grated coconuts, lemon and onions is a must try. The dish is undoubtedly the most popular Maldivian breakfast, eaten with chapati bread called Roshi. Where to get: The Sea House Maldives, Boduthakurufaanu Magu (Opes 4:30 AM to 12:00 AM); Crystal Sands, Maafushi (Opens 6:00 AM to 12:00 AM); The west harbour area in Male, now known as Raaveribe Maizaan has many small restaurants on a line which serve Maldivian breakfast, just reach on breakfast time. 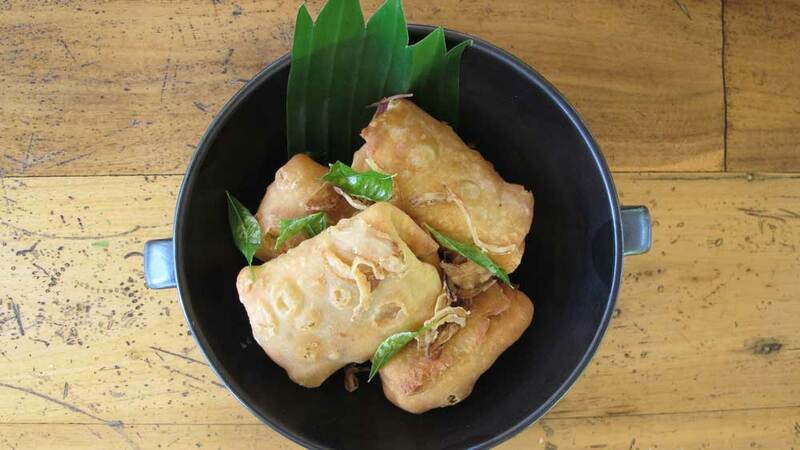 Somewhat like a samosa and spring roll, Bis Keemiya is an interesting dish that makes for a good snack. It's a pastry filled with tuna/hardboiled egg, sliced onions and gently sautéed, shredded cabbage. The authenticity of the flavours makes it a must try food of Maldives. Where to get: Eat Bis Keemiya in the street cafes of Male and Hulhulmale, usually open from 8:00 AM to 10:00 PM. 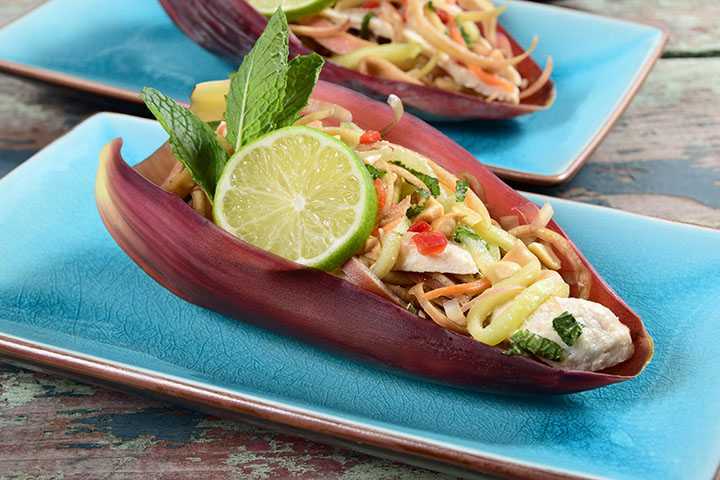 Somewhere between salsa and salad, Boshi Mashuni is a mixture of crunchy, shredded banana flowers and fresh coconut. While curry leaves, turmeric and cumin provide a delightful flavour to the dish, spices, lime and Maldivian chilli give it a tangy twist. Yams are one of those few crops that are grown in this astounding island nation. 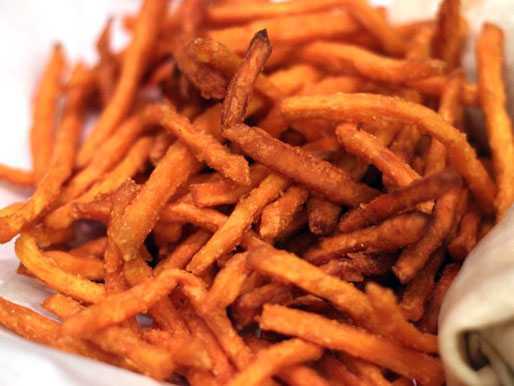 As a result, fried yams are quite a popular food in Maldives! Crunchy on the outside and moist on the inside, the snack is served with sauces that make the experience worth all the pennies you spend. Where to get: Cafes in Raaveribe Maizaan, the west harbour area in Male, usually open from 8:00 AM to 10:00 PM. 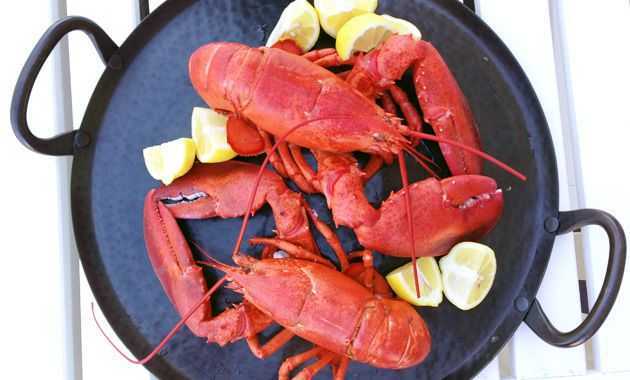 Lobster tastes best when cooked alive - it melts in the mouth and leaves a unique taste. Eating the perfectly cooked Maldivian lobster served right at your table is a simple pleasure of life that you would not want to miss on! 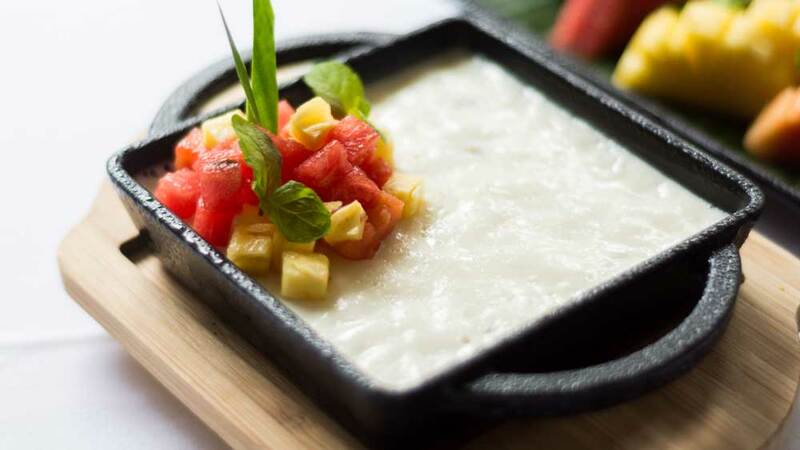 Sago or sabudana is a popular ingredient of people's diet in Maldives, and you will know why when you'll try this pudding made of sago. It is warmed with coconut milk, and laced with condensed milk. The essence of cardamom and rose makes the whole experience even better. It is one of the best vegetarian food in Maldives. Reef fish is a very popular food in the Maldives, and when it's served in the form of Tandoor masala spiced reef fish cutlet, with sides like coconut and mint chutney/papaya/cucumber, who wouldn't love it? Do try it out! Gulha is what's called a 'short eat' or 'evening snack,' which tastes great when served freshly baked with tea or coffee. These are small bite-sized dumplings filled with Tuna fish, onions, chilli and grated coconuts. 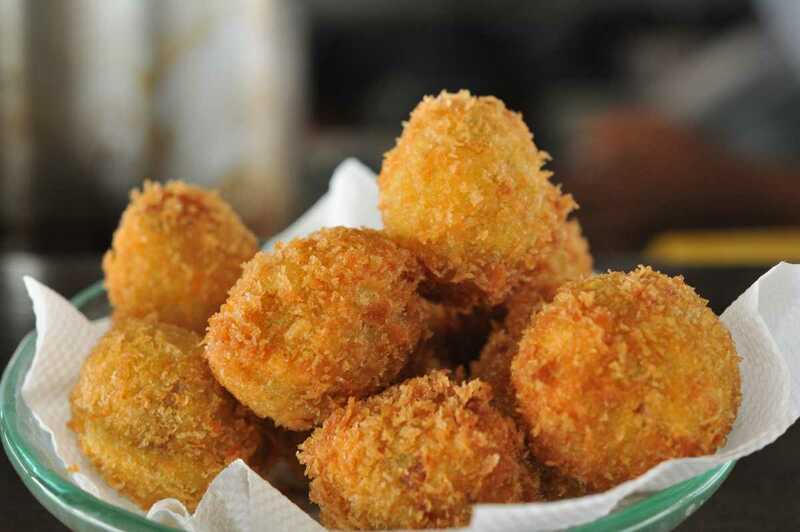 Kulhi Boakibaa is a fish cake and a must-try Maldivian food. It is cooked on special occasions in Maldivian homes but can be found in many cafés easily. The cake is made of smoked tuna, scraped coconut, onions and ground rice. 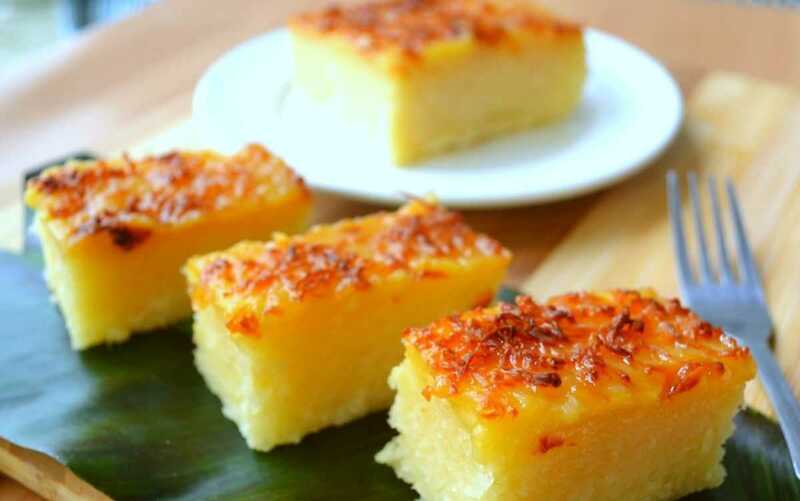 Aluvi Boakibaa is a sweet cassava and coconut cake that melts in the mouth and transports one to heaven! It is liked by locals and tourists alike making it an integral part of food in the Maldives. 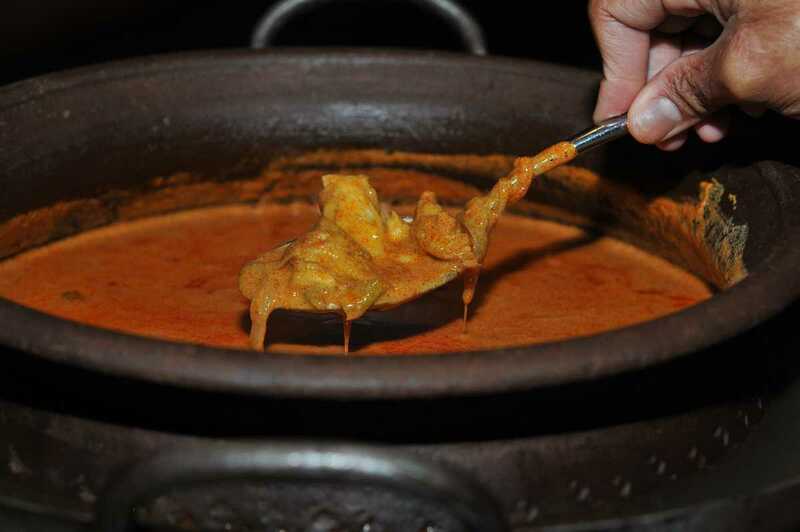 Majority of popular food in Maldives include fish, so how can you not try the very basic and very important Fish curry - creamy, flavoured and spicy. Favourite fishes include skipjack tuna, little tunny, yellowfin tuna, frigate tuna, bigeye scad, wahoo and mahi-mahi. Fish curry is served with rice, roshi and papadhu, and Maldivian poppadoms. A traditional food of Maldivian cuisine, Rihaakuru is a thick paste made by cooking fish for a very long time. 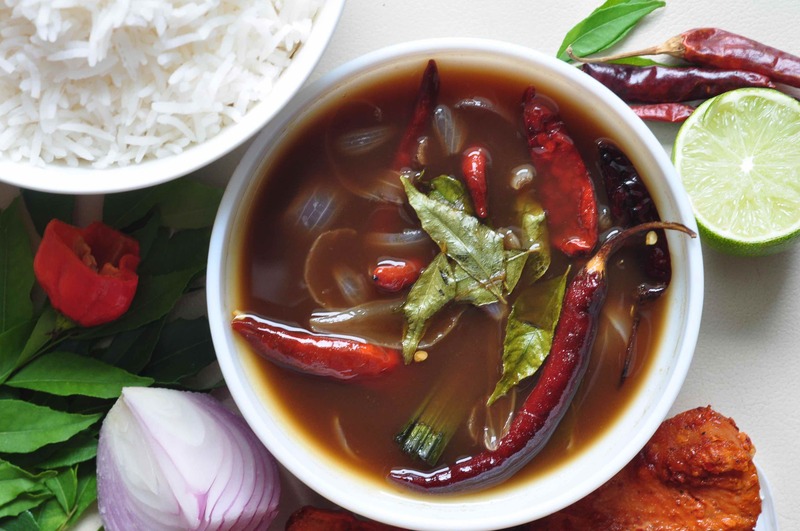 This spicy dish is a favourite in Maldivian households. Tear off a piece of the roshi, dip it in the Rihaakuru, eat, and repeat until your tummy is satisfied! 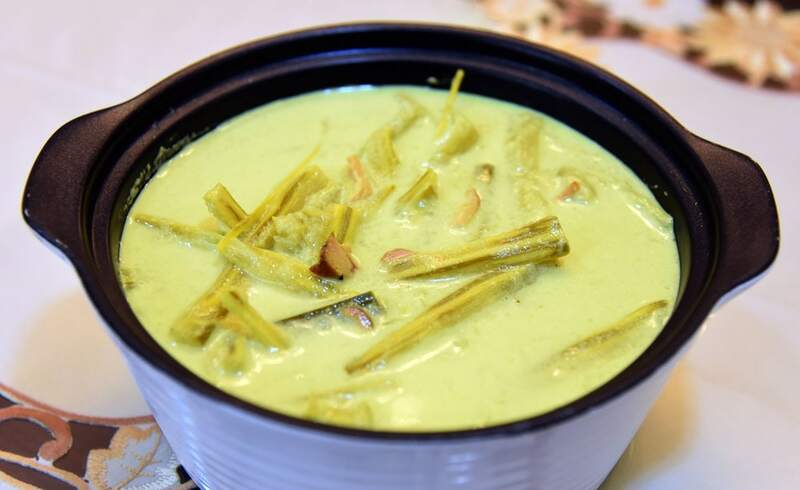 In a place where fish is an ingredient for most of the dishes, Maldivian Vegetable Curry, also known as the Tharukaaree Riha, is a great option for vegans/vegetarians. 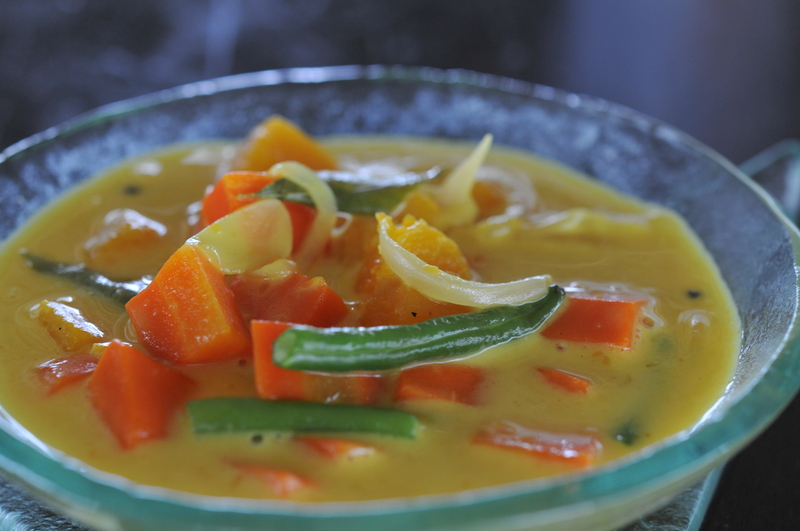 A result of the huge Indian and Sri Lankan influence on Maldives, this curry full of vegetables like sweet potato, pumpkin, beans, carrots etc., flavoured with pandan leaf and curry leaves is a delicious and healthy dish loved by the locals! Where to get: Amore, Guraidhoo (Opens 8:00 AM to 11:00 PM); Street cafes in Male west harbour area, usually opens 8:00 AM to 10:00 PM. 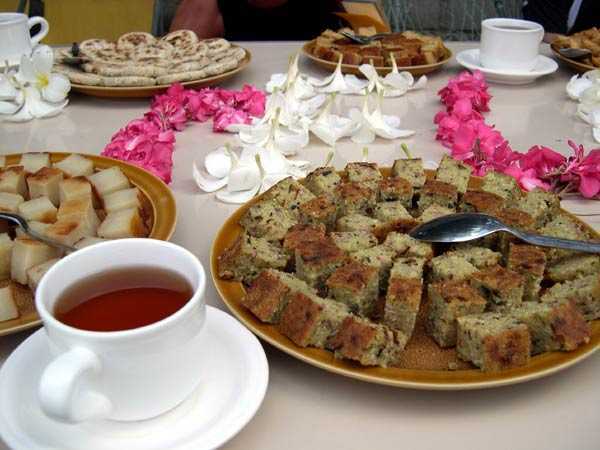 Maldivians follow the British tea tradition, kalhu sai (black tea) or kiru sai (milk tea) are enjoyed with sweet bites or salty snacks. So, tea lovers rejoice! Give your senses a good treat with the fresh and tropical aroma, and fruity taste of this Maldivian drink made of white rum skinned, apricot brandy, grenadine, orange and pineapple juice. Imagine sitting under the night sky, amid a cool breeze, sipping this drink. Paradise, right? Named after the Biyadhoo Island in Maldives, the Biyadhoo special is a refreshing combination of alcohol and fresh juice. Served in the traditional stemmed cocktail glass, it is one part vodka, one part pineapple juice, and two parts melon liqueur, with a slice of pineapple. The tropical flavour with hints of vodka will leave you in that perfect tipsy mood. Maldives' premium and one of the most expensive cocktails, Lucky & Al is a strong combination of spirits, giving this classy cocktail a distinct and intense flavour. Apparently, it was created to pay homage to the Prohibition Era in the US and is served with a vintage 1930's Guy Lheraud, Vieil Armagnac and Salon 1988 Champagne. Made with the finest ingredients, this classy cocktail is definitely not cheap, but worth all the money it costs! 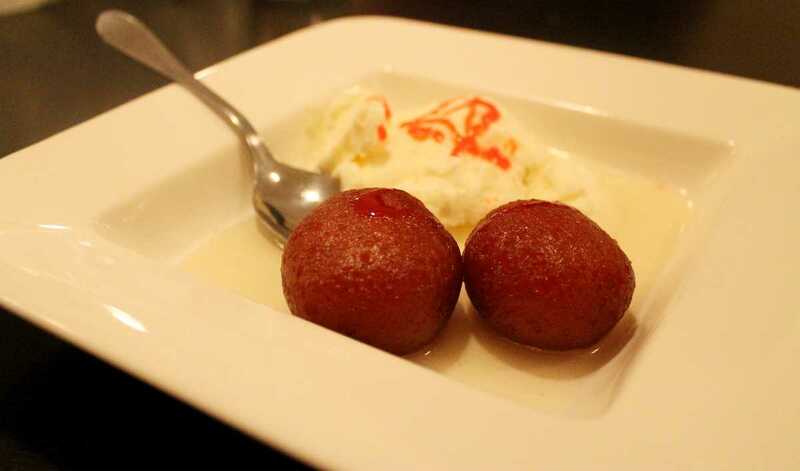 Yes, this popular Indian delicacy - spongy milky balls soaked in rose scented sugar syrup is also loved and served in Maldives, and you should definitely try this perfect dessert! Where to get: Tandoori Flames, Hulhumale (Opens 11:00 AM to 11:30 PM); Belle Amie Bistro (Opens 8:00 AM to 11:00 PM); Samsara Restaurant, Bolifushi Island. 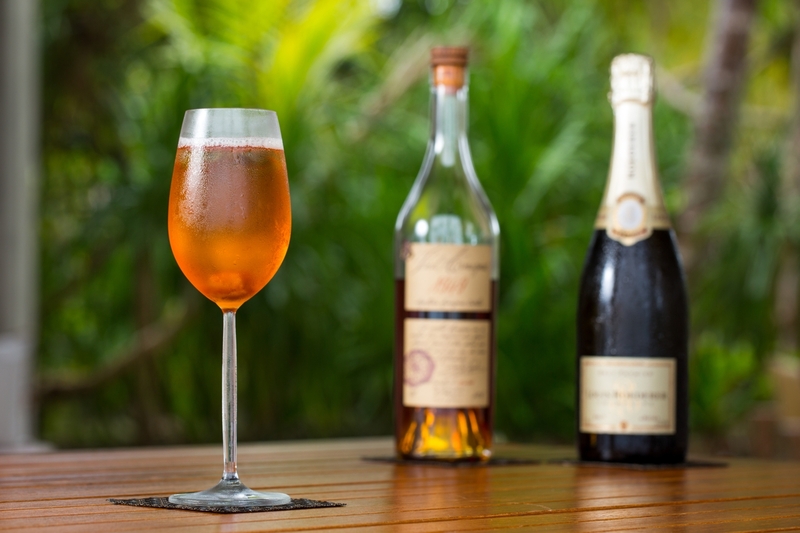 Although alcoholic drinks are easily available in nearly all the resorts and liveaboard boats, alcohol is effectively banned for the local population and not available easily on the public islands since Shariah forms the Maldives' basic code of law. Tipping in the restaurants is considered a nice gesture, though it's not compulsory as a 10% service charge is added in the bill. The best time to devour Hedhika/snacks is after the afternoon prayer, Asr at around 4:00 PM, when they are freshly made and served. It is prudent to drink bottled water in Maldives as tap water is mostly just desalinated sea water. A 1.5-litre water bottle costs under MVR 10. Even though a major portion of the population in Maldives speak and understand English due to the regular influx of tourist, you might face a problem at some small cafes. 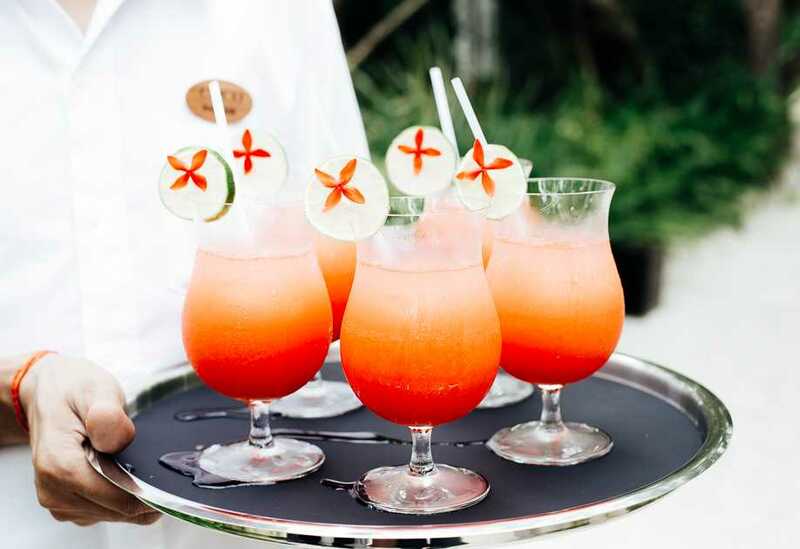 In such cases, you can use this Maldives language guide to order the scrumptious food and drinks and have a party for your taste buds. Well, guess what's better than reading about food and staring at its alluring photographs? Yes, eating it. So what are you waiting for? And to all the people honeymooning in Maldives, remember that there is no sincerer love than the love of food! Mouth-watering much?